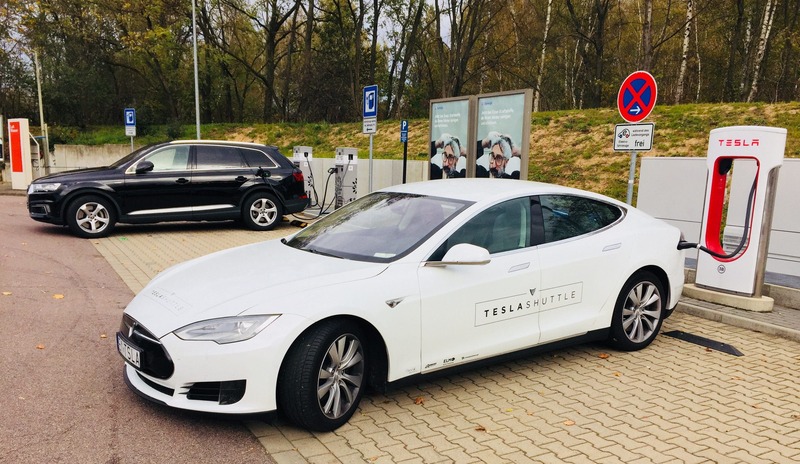 We’re approaching one year of operation with Tesla Shuttle — city-to-city transport in a Tesla, airport pickups & drop-offs, special event show & tells, and a bit of Uber and BlaBlaCar use. Just passing 50,000 kilometers of service and approximately 100 passengers, it seemed like a good time to reflect on some of the lessons learned and customer reactions. 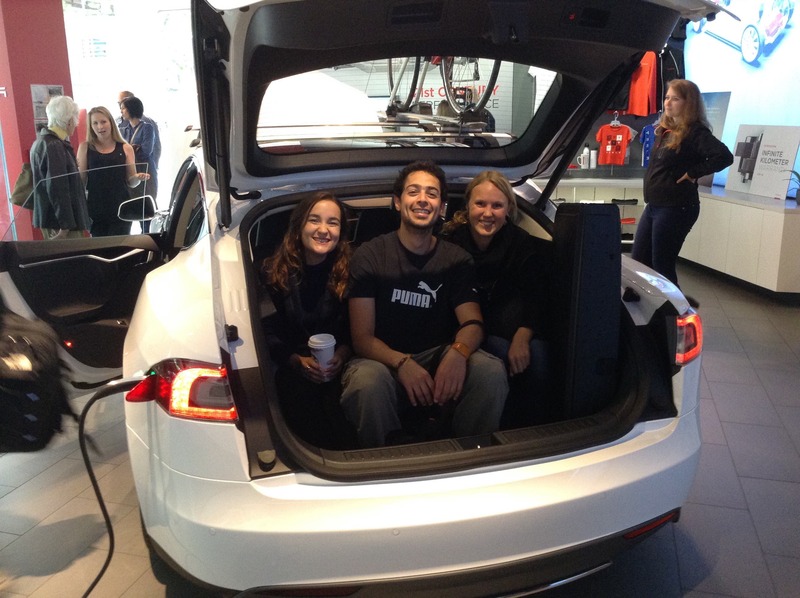 The vast majority of our passengers had never been in a Tesla before. Many had never seen a Tesla before. A number of them had never even heard of Tesla. The latter might be confusing — how could they not have heard of Tesla but be using a Tesla Shuttle? We’ve had customers who just booked a car through receptionists at partner hotels, we’ve had Uber and BlaBlaCar passengers who just needed a ride, we’ve had newbies learning about the car at special event show & tells, and plenty of people on the street have had their eyes and then butts pulled into the car out of pure curiosity. It’s so beautiful. Over and over and over again, people are struck by how beautiful the Model S looks — whether they knew about the car before or not. Photos only do so much, and the Model S has a larger, more striking look in person. It appears to have a timeless elegance. No, it’s not just me, and it’s not just fanboys. “Normal people” are often drawn to the car because of its beautiful design. The lady behind me in line to reserve a Model 3 at around 6:00 am (before the Model 3 was shown) was basically just there because she thought the Model S was beautiful. She saw one on the highway one day, went home and Googled “T car” because she thought it was so beautiful, discovered it was out of her price range, a few months later found out about the Model 3 via Facebook, and then decided to get in line to put down a reservation. We haven’t seen anything that dramatic with our customers and people passing by it on the street, but it’s definitely obvious that it’s a head-turner and people think it’s pretty. Wow, the navigation screen! Of course, sitting down in a Model S, the navigation screen jumps out at you. For people who knew all about the car before but had never been in one, the screen typically looks bigger than they imagined. For people who didn’t know about Tesla before, it’s a stunning new concept and revelation of what’s possible. When the passenger sees what it can do, that initial surprise turns into a sort of silenced awe. Naturally, we don’t know what the wheels and cogs inside their heads are doing. Are these Tesla newbies thinking, “Hey, if I can do everything on my phone that I can do, why couldn’t a car be controlled in this way?” Are they thinking, “Is this for real or just an infotainment joke?” Who knows what the exact first thoughts are, but people are definitely often shocked and smiling when they first experience Tesla infotainment. It’s on? The peace and quiet of an electric car is always a wonderful experience, but there’s something extra special about that peace and quiet in the beginning. Also, when you’re in such a large and powerful vehicle, there’s a unique kind of “wow” factor. 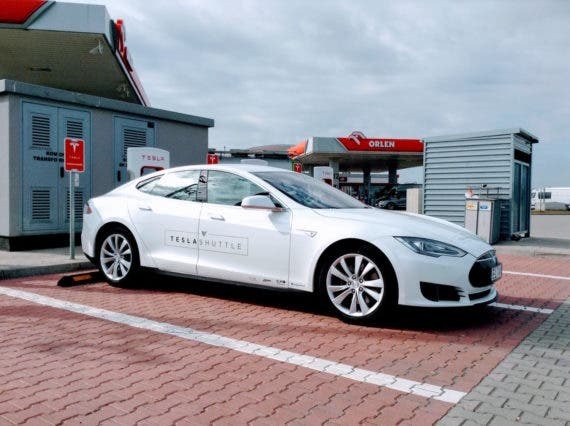 The peace and quiet are arguably the top consumer benefits of an electric car — that was the argument of a certain Thierry Lepercq when he presented after me at rEVolution 2017 (I had focused on the fun and convenience of electric cars as their top consumer benefits). 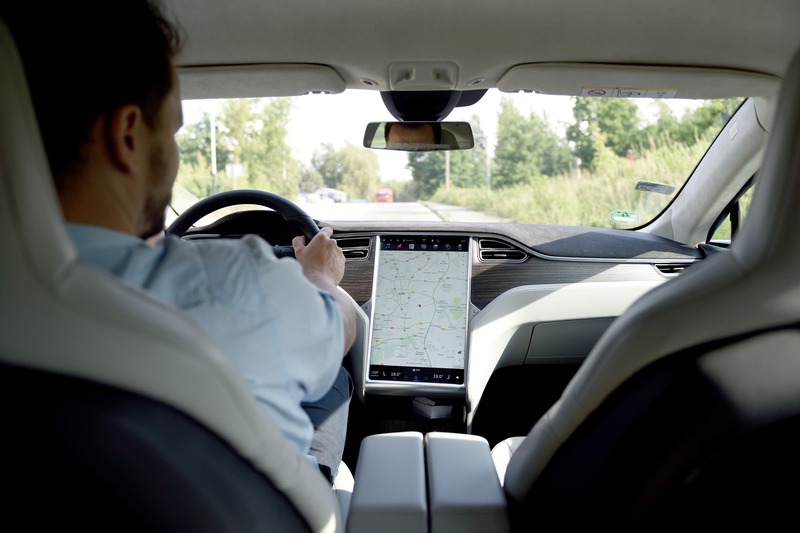 Having a Tesla for a while, I think I did come to enjoy the peace and quiet more than the crazy acceleration — and I would say customers generally do as well. Which benefit will sell more electric cars is still a question that tantalizes my mind. There’s so much cargo space. The cargo space in a Tesla Model S is wicked. There’s a ton of space in the back, which is easily accessed via the liftback design, and then the frunk blows people a bit further out of the water. Most customers don’t seem to know about it ahead of time. Again, they stare a moment, smile, seem to be in a stage of either shock or just trying to figure out how it’s possible. Of course, when your job is to transport people from city to city, the extra storage space can be extra useful. We have actually landed some customers specifically by confirming that we have a ton of cargo space. Generally, though, it’s not a topic that is brought up ahead of time, which leaves for a nice and interesting surprise for the passengers. Spotify! 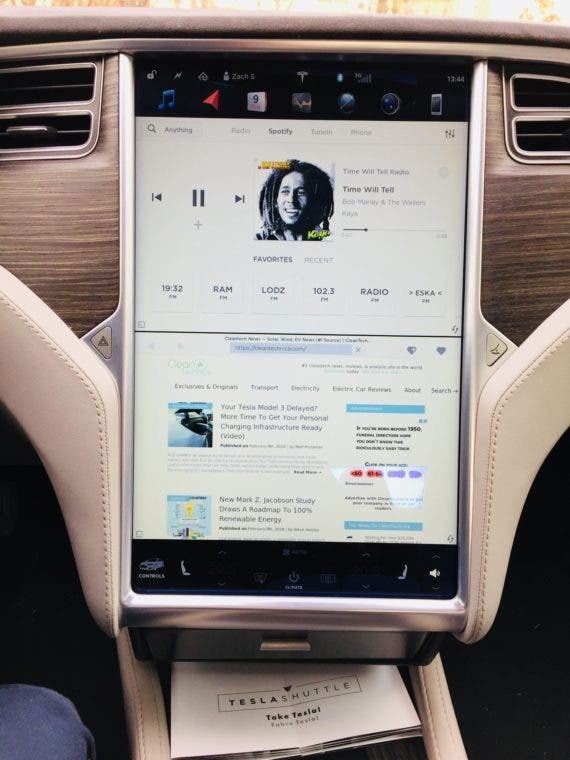 As I noted yesterday, for some users, Spotify is the best feature in a Tesla. So, as you can imagine, some passengers are thrilled to see Spotify in the infotainment screen. Hahaha — you’re kidding me! This is in reference to the Easter eggs. The Easter eggs might be the thing people find the most unbelievable. Part of the magic is just that it’s possible for them to be elegantly incorporated into the humongous and first-class infotainment system, but I think the bigger part is that a company would actually do this. Clearly, it’s a company led by people who don’t take themselves too seriously, and who like to have fun. As it turns out, a lot of people like to have fun. I often feel like the Easter eggs are that extra thing that just put passengers over the top. Holy sh**! Naturally, the acceleration is insane, even without insane mode. 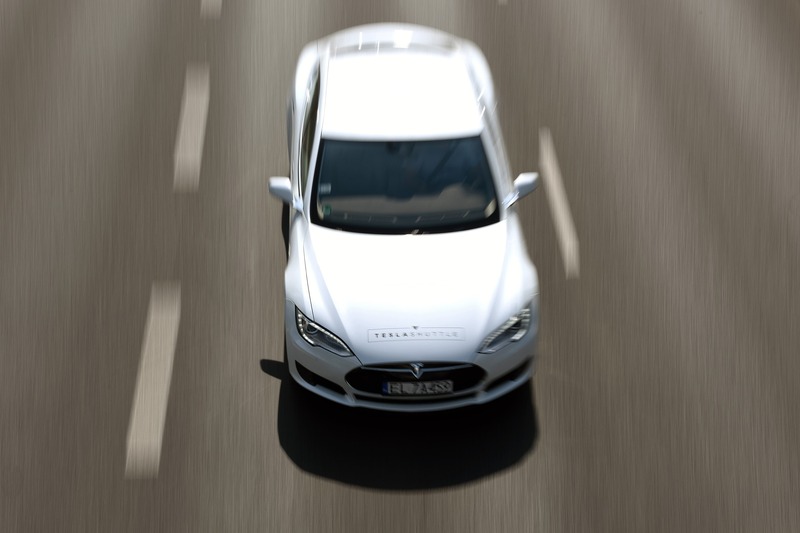 The mixture of the pure horsepower and the powerful instant torque make a ride in a Tesla Model S like nothing else … for now. You’ve all seen the videos of laughing, giggling, cursing passengers. For many passengers, this is the memorable kicker they dreamt it would be. For others, it’s the greatest shock of the ride. By the way, we’re still open to adding shareholders. And we’re always eager to drive more customers. If you’re interested in joining the Tesla Shuttle team in some capacity, drop us a line.